The Buff Cuff! 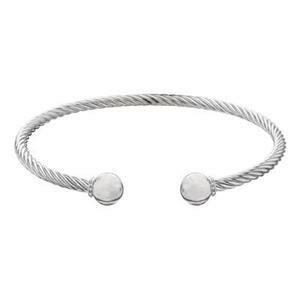 Our SCC246 – Bright Sterling Silver, 2.9mm Twisted Flex Cable Cuff with 6.8mm Ball Ends. 2-3/16 Inch. The Flexibility of this Cable will make it easy to slip on and off your wrist. Stylish and Polished Appeal. Personalize it with a handpicked assortment of our Sterling Silver Charms. This bracelet is very pretty and is good quality. I love the flexibility of the bracelet because it makes it much easier to get on and off. I have purchased the other "ball" cuff from you, SCA237, and to be honest that bracelet seems like just as good or better quality and seems heftier in feel and is much lower priced, however, because my website is called "A Woman With Balls", I like the more pronounced balls on the end of this cuff. 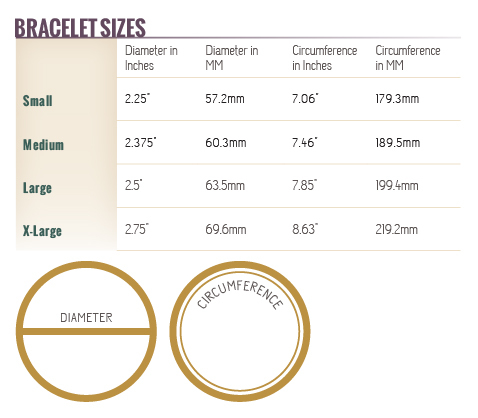 I gave the bracelet only 4 stars because I feel compared to other cuffs you carry and a double ball crisscross flex bracelet that I purchase from another supplier, this bracelet is priced considerably higher. I am still considering putting this bracelet on my website, but am definately concerned about the price of it.